Tip o’ the hat to longtime partner in crime Ocean Conservation Research for catching this insult to the ears of whales, seals, fish, and crustaceans. As part of its hatchet-wielding rampage through America’s regulatory arena, the Trump administration has gone beyond “merely” making plans to re-open the Arctic to drilling and issue new permits for seismic surveys off the Atlantic coast (both of which will doubtlessly engender legal challenge). Now they’ve also come for us! There’s nothing in the NOAA Guidance document that would stop, or even slow, current oil and gas exploration or Navy testing and training activities. It more or less serves as a formal declaration of the current state of the science and a framework within which further research can be prioritized and carried out. Most importantly, the Guidance provides a one-stop source for physical and behavioral thresholds that are used to determine noise impacts when applying for new permits. Indeed, wiping it from the books would do little more than complicate the compliance efforts of the Navy and oil and gas industry as they plan future activities, as well as NOAA’s legally-mandated environmental assessments. Yet another case of the bull in a china chop approach to governing. UPDATE, 6/3/17: Here’s an article with some good quotes from scientists involved in creating the Technical Guidance that is being targeted. A new court ruling could fundamentally change the standards that the Navy and National Marine Fisheries Service have been using to regulate Navy sonar, by requiring more areas to be set aside as off-limits to the Navy’s routine peacetime operations. A federal appeals court has ruled that simply determining that Navy activities will have “negligible impact” on populations is not sufficient; regulators must also, and separately, set standards for sonar use that assure the “least practicable adverse impact” on marine mammals and their habitats. (Download the ruling; it’s only 35 pages, not a bad read!) As those who have been following the evolution of the NMFS’s ongoing cycle of five-year authorizations for Navy activities will know, the routine procedure has been to dutifully tally the numbers of animals that may be affected—generally they predict relatively few injuries or deaths (more when explosives training is involved), as well as behavioral effects on millions of animals—and then to determine that the long term effects on each species’ population levels will be negligible. This negligible-impact finding then allows NMFS to issue permits allowing for the predicted effects. NMFS has been presuming that negligible impact is sufficient to also satisfy the requirement for “least practicable impact.” Their basic argument was that you can’t get a lower impact than negligible. However, there were a couple of flaws in this approach. First, the threshold for population-level effects in this permit was presumed to be 12% of the regional population of any given species being able to hear, and have their behavior potentially changed, by sonar transmissions; clearly, there IS room to reduce this degree of impact. But more importantly to this court, the NMFS’s approach to determining what areas are “biologically important,” and so worthy of some protection from routine sonar operations, was found to violate the “least practicable impact” standard—and it appears that designating more protected habitat will be essential to meeting this standard. Note: This court case concerns the SURTASS-LFA low-frequency active sonar, currently deployed on four US surveillance vessels, rather than the mid-frequency active sonar that has been the focus of most of the previous legal wrangling. 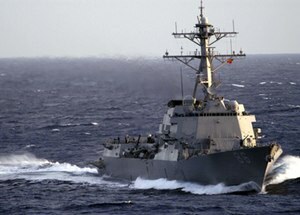 This LFA lawsuit challenged routine, peacetime use of the sonar worldwide; by contrast, all the mid-frequency challenges up til now have only sought to constrain testing and training activities in Naval training ranges off the US coasts, not its widespread routine use by over a hundred Navy ships around the world. So this case has a limited immediate scope, though the underlying theme of setting aside more areas as off-limits is a core element of all the sonar and naval training legal challenges, and this new clarification by the courts on the separate requirement for “least practicable impact” could apply to all NMFS permitting. This court ruling does not prescribe a new management plan; it merely found that the current one does not meet the letter of the law. This case is now remanded back to the district court for further deliberation. However, we are approaching the end of the 5-year authorizations that have been challenged here (2012-2017), so the most likely consequence of this ruling is that the NEXT round of authorizations, due in 2017, will need to take more care in meeting the “least practicable impact” standard, either by expanding the areas off-limits to sonar, or by more adequately justifying why NMFS feels they are meeting this standard in other ways. After being slammed by a federal judge in March, the US Navy has agreed to keep sonar training and explosives testing and training out of several biologically important areas off the California and Hawaii coasts. This week, settlement talks with NRDC, Earthjustice, and other plaintiffs resulted in a final order, which will remain in effect through 2018, when the current round of permits expire. This is a substantial victory for the environmental groups, the first legal affirmation of a long-standing argument that the Navy can and should keep its loudest activities out of areas where whales and other sea creatures congregate. It’s especially notable after losing a similar case targeting the Northwest Training Range Complex last year, in which the judge ruled that the Navy had suitably considered the question of whether exclusion zones would reduce harm to animals. This time, a different federal judge was much more amenable to the fundamental idea that the Navy can achieve its training mission without totally unfettered access to all corners of the seas. 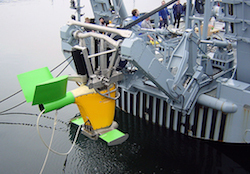 While mid-frequency active sonar has received the most attention, recent EIS’s and permits for Navy training and testing activities have made it clear that explosives trigger the vast majority of the potential injuries and deaths, as well as a huge number of the behavioral reactions that are also of concern to environmental advocates. This agreement totally bans in-water explosive testing and training from an area between Santa Catalina and San Nicolas Islands off southern California and from nearly all Hawaiian near-shore areas (the exception being the waters between Hawaii and Maui). Mid-frequency active sonar “major training exercises” will be excluded from the two of the four zones around Hawaii island and a zone west of Molokai; while both major exercises and small-group or single-boat sonar are banned in a nearshore area off San Diego during the five months each year when Blue whales are present. Meanwhile, sonar activity will continue as part of large training exercises several times per year in other nearshore Hawaiian waters; waters farther offshore and between the specified exclusion zones will also remain available for sonar and explosives training and testing. UPDATE, 11/13/15: Unsurprisingly, this recent court ruling did not derail the ongoing finalization of a similar 5-year permit for Navy training in another area, off the Pacific Northwest coast of WA, OR, and northern CA. 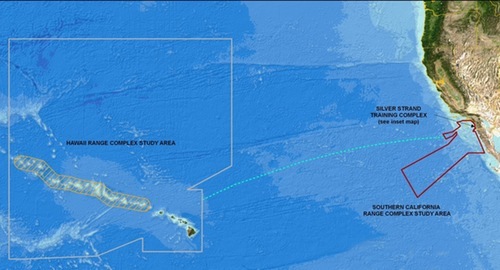 NMFS has signaled its approval of Navy plans there; it was a similar NMFS action that triggered the lawsuit and recent settlement in the southern California/Hawaii training range. It appears that while there are some bombing and live fire exercises planned in the PacNW training range, those activities may be less extensive or intense; no mortalities are predicted to occur. It’s not clear how often the exclusion zones have been actively used for these now-banned exercises in the past; the Naval Training Ranges include vast expanses of ocean around Hawaii and off the California coast. We do know that four dolphins died in 2011 after an explosive exercise in the area between the two Californian islands, and presumably routine smaller-unit sonar training has ranged through some of the near-shore waters now off-limits. The exclusion zones range from 15-30 miles wide around Hawaiian shorelines; the San Diego exclusion zone extends about 15 miles offshore and along 30 miles of coast, while the offshore area between the two Californian islands is nearly 60 miles long and around 15 miles wide. Within these areas, injuries and deaths should now be generally avoided (though the Navy contends that such incidents are already extremely rare; see this post for a deep dive into the question of the estimated “take” numbers). However, the large numbers of behavioral reactions, or Level B takes, are unlikely to be reduced much at all by these changes, since they occur at much greater distances (70% of Level B takes occur at 25-50 miles). Indeed, even the exclusion zones themselves may well experience sound levels high enough to trigger behavioral changes when exercises take place in nearby waters; however, the most disruptive behavioral reactions, such as interruptions in feeding or mating, or disruptions of mother-calf interactions, should be reduced significantly within the exclusion zones. And, this settlement could set the stage for more exclusion zones in the next round of 5-year impact assessments and permits covering training ranges in waters along most parts of the US coastline. This week the Indian Navy confirmed its purchase of six low-frequency Active Towed Array Sonar (ACTAS) units, for use in tracking Chinese subs in the Indian Ocean. With a stated detection range of 60km (37mi), it appears that this system puts out far less sound than low frequency systems used by the US (SURTASS LFAS) or the British (Sonar 2087), both of which are effective to at least 100 nautical miles, and can be detected at much greater distances. It is remarkably hard to find information about the proliferation of these systems; the German-made ACTAS system is presumably being used elsewhere as well, while the UK Sonar 2087 is deployed on several UK Navy ships, and was recently also purchased by Chilean Navy. So far, the US Navy has plans to outfit 4 ships with its SURTASS LFA system, and it is used regularly in the western Pacific, monitoring Chinese and North Korean activity. While environmental groups continue to challenge US deployment of LFAS and to add biological safeguards to training programs using mid-frequency active sonar (see AEI coverage of both), these and similar systems continue to spread into waters around the world. In December, the Navy’s current five-year plan for training and testing activities around Hawaii and off the southern California coast were approved by NOAA regulators, covering the years 2014-2018. The approval authorized incidental takes of marine mammals, including both widespread behavioral changes and close-range injuries and some deaths, as a result of sound exposure from sonar and explosives, as well as ship strikes. Immediately after NOAA’s approval, environmental organizations filed suit in federal court in Hawaii, and this week, other organizations filed suit in a San Francisco federal court (the Navy pushed back in a brief statement). It’s unclear from early press coverage how much overlap there is between the two; the Hawaii suit, led by Earthjustice, initially named just NOAA, but has been amended to also name the Navy as a defendant. The San Francisco suit, led by the NRDC, targets NOAA, charging that federal regulators did not use “best available science” and that their finding of “negligible impact” violates the Marine Mammal Protection Act. It’s important to note that while sonar has been the focus of most public concern, explosions during testing and training are predicted to cause most of the injuries and deaths. The Navy and NMFS consider the estimates to be extremely cautious (ie far higher than actual likely impacts) for a number of reasons; see the bullet list in this earlier AEI post for more on why. NRDC, Earthjustice, and the other plaintiffs continue to stress that the Navy can and should limit its activities in areas and times of particular biological importance to marine species; the lack of such “spatio-temporal restrictions” has been a bone of contention for many years, and this time, as in past rounds of permitting, the Navy and NMFS determined that such restrictions would yield little biological benefit. A largely similar lawsuit filed in 2012, challenging NOAA permits for Navy training in the Pacific Northwest, ended up in a split decision, with the “best available science” ruling going against NOAA, but the large takes challenge (including the lack of exclusion zones, as well as faulty negligible impact ruling) falling short, with the court approving of NOAA’s analysis and actions. UPDATE, 2/10/14: See this article from NRDC, outlining their reasons for this lawsuit and how it fits in with their 20-year history of focusing on ocean noise issues. It appears that the places that the court found NMFS falling short are in the details of how they prepare and analyze information, while the end results of the Navy activities and NMFS analysis and permits were upheld as valid. The court did not accept the plaintiff’s core concerns about the huge numbers of animals authorized to be affected (as litigated on the questions of protected habitats, mitigation measures, and cumulative impacts), deferring to the NMFS analysis that deemed even these large numbers to be acceptable, largely because most impacts are minor and temporary. The rulings that went against NMFS each appear to require simply more data analysis, which will then be fed into the same decision-making process that has been upheld as valid. In 2012, Earthjustice, NRDC, and others challenged both the 2010 Northwest Training Range Complex permits authorizing five years of mid-frequency active sonar and explosions at sea, and permits authorizing global deployment of low-frequency active sonar through August 2017. While earlier challenges targeted the Navy’s environmental analysis—or originally, the lack thereof—and ran aground when the Supreme Court ruled the Navy has broad discretion to weigh environmental safety against national security interests, this new round of lawsuits is directed at the National Marine Fisheries Service’s regulations and permits for the activities. In both cases, the primary focus of the challenges, at least as described in press releases, was insufficient protection of biologically important areas. For several years, NRDC and others have stressed that Navy training ranges, which stretch along nearly the entire east and west coasts of the US, contain enough area for diverse training while setting aside some seasonal or year-round exclusion zones where training is avoided due to concentrations of marine animals. Navy estimates of the numbers of animals likely to hear sonar or explosions, leading to either behavioral changes or injury, are alarmingly high, and the plaintiffs suggest that these numbers could be reduced significantly by setting some areas off limits, at least at key times. 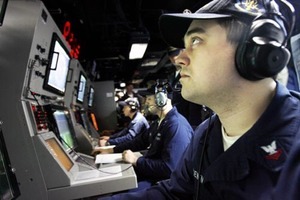 Unlike in previous challenges directed at the Navy itself, the plaintiffs did not seek any sort of injunction to halt the training exercises; rather, they asked that the court require the NMFS to revisit and revise their previous rules or authorizations in light of any deficiencies the court determined to be present. As the NWTRC case moved into the argument phase, several specific challenges to NMFS procedures, analysis, and conclusions were raised and addressed. In a ruling issued by US Magistrate Judge Nandor Vadas in late September, the plaintiffs came away with at least a temporary win on several points, while the NMFS prevailed on several other fronts, including on the fundamental arguments about habitat protection and long-term impacts. As in previous rounds of this legal battle, it appears that the end result will be Navy training continuing pretty much as it was before any of the legal challenges began—though with detailed analysis of potential impacts continuing to be pushed into new realms by the legal challenges. The court ruled that the NMFS had improperly failed to include some relevant studies from 2010 and 2011 when issuing a 2012 Letter of Authorization and Incidental Take Statement, two years after the initial Five-Year Regulations were issued, and so did not rely on the “best available evidence” and likely underestimated the number of animals affected by Navy activity in its 2012 permitting documents. In addition, the court ruled that the NMFS should analyze impacts not just over the five years of each planning cycle, but for a longer (unspecified) time period, because Navy training is considered to be a permanent, long-term activity. Over the next month, NMFS will file a brief describing what they see as an appropriate scope and duration of any order to change their previous documents, and the plaintiffs will file a reply; presumably, the Court will rule shortly thereafter on specific remedies. However, the NMFS prevailed on several substantial issues, including the primary one and two important related challenges. On the central question of setting aside exclusion zones to better protect essential habitats, the court ruled that the NMFS had given such exclusions due consideration, and lawfully concluded that such exclusions would not be likely to reduce take numbers significantly. 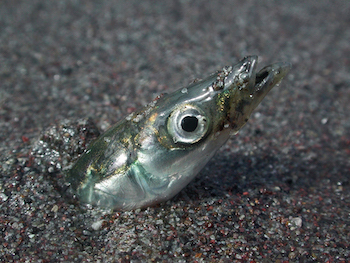 Likewise, the court ruled that NMFS determination of no significant impact did not rely on insufficient mitigation measures (primarily visual observers) in making its assessment of likely harm; rather, NMFS determined that even before mitigation measures were implemented, the numbers of animals affected and the degree of impact did not pose long-term risks to local populations. Southall, B.L., Rowles, T., Gulland, F., Baird, R. W., and Jepson, P.D. 2013. Final report of the Independent Scientific Review Panel investigating potential contributing factors to a 2008 mass stranding of melon-headed whales (Peponocephala electra) in Antsohihy, Madagascar. Download full report or executive summary. For the first time, a mass stranding appears to have been triggered by a relatively high-frequency mapping sonar; most previous strandings (though rare) have been associated with mid-frequency military sonars. 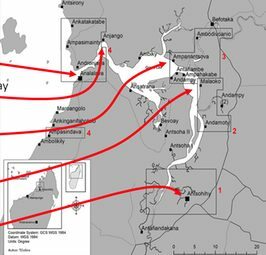 An international, independent scientific review panel (ISRP) of five well-known marine mammal researchers has concluded that a 2008 stranding event on the northwest coast of Madagascar was likely precipitated by an avoidance response to a multi-beam echo-sounder system (MBES) being used to map the seafloor. 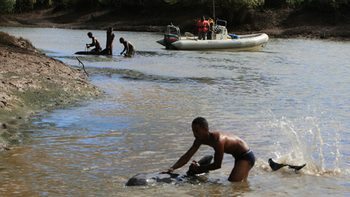 Over a hundred melon-headed whales, deep-water foragers who normally live far offshore, became trapped in a shallow estuary one day after the MBES was active 65km off the coast; locals and international marine conservation organizations collaborated for three weeks to save floundering whales, with at least 75 confirmed dead. The ISRP investigated all known possible causes for such events, and concluded that the most likely trigger was that the whales were moving away from the sonar, and became trapped in the unfamiliar surroundings of the narrow La Loza Bay estuary. There, they found it hard to orient and navigate in the shallow, murky water; lack of food sources, stress/fatigue, and an accumulation of small injuries led to eventual death for most. Acoustic modeling suggests that the whales would have been able to hear the MBES signals for at least 30km from the survey vessel, to near the island seen on the map to the right, 25km offshore, at which point they apparently continued moving toward shore until straying into the stranding zone. Why the animals continued moving inshore after the sonar was no longer audible is unclear. This is a species that normally lives only in deep waters; once the whales moved past the cliff near the survey area and into shallow shelf waters, they may have been quite confused, and further behavioral anomalies (including ending up in the estuary) may be unrelated to the survey sounds. UPDATE, 10/10/13: This WaPo article includes some skeptical responses, centering on the uncertainties about other factors (before and/or after the MBES sound exposure) that may have contributed to the stranding, and concerns that the strong language of this report could lead to an over-reaction among regulators. A spokesman for Exxon-Mobil, which helped fund the study and the initial stranding responses, said, “our contract vessel happened to be there in that time frame, but there are so many uncertainties in the area that we’re not sure it’s us.” Still, the company has changed its practices to avoid use of MBES near sharp cliff faces, since the panel speculated that echoes off the cliff may have confused the whales, sending them further inshore. It is important to note that these systems, while regularly used throughout the world in hydrographic surveys, are fundamentally different than most other high-frequency mapping or navigational systems (ed. note: or fish-finding sonars). They have relatively lower source frequencies (12 kHz is within the range of likely best hearing sensitivity for all marine mammals), very high output power, and complex configuration of many overlapping beams comprising a wide swath. Intermittent, repeated sounds of this nature could present a salient and potential aversive stimulus. 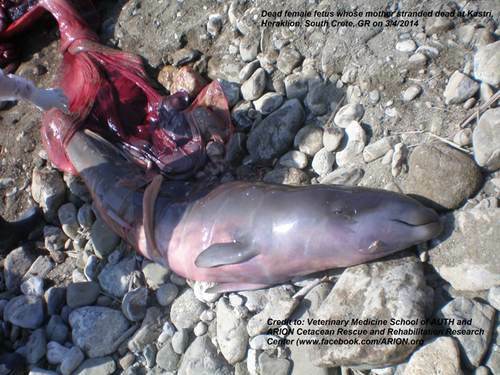 Click on through for more details on the stranding, the ISRP report, and maps. Blue, beaked whales stop foraging when exposed to sonar? Results from studies off Southern California have quantified for the first time the reactions of Blue whales and Cuvier’s beaked whales to simulations of naval mid-frequency active sonar. In both cases, scientists found that whales tended to move away from sonar signals, and appeared to suspend feeding activity for an hour or more at times. The Cuvier’s beaked whale results marked the first time this species had successfully been monitored during a controlled exposure to sound while wearing a temporary suction-cup “D-TAG” that allows researchers to track animal dive and movement patterns while also recording the sound level of the sonar signal that the animal is hearing. As with similar experiments done on other species of beaked whale, the two whales tagged in this study changed their normal dive patterns, paused or stopped echolocating for food, and waited longer at the surface after the sonar sound ended before they began diving normally again. The pause in foraging lasted for 6 hours in one whale, and at least 90 minutes for the other. The whales’ behavior was changed at sound levels (89-127dB) that are far below the levels typically considered problematic by regulators (typically 160-180dB; though some Navy EIS’s use 120dB for beaked whales, because of their previously observed noise sensitivity). CORRECTION, 1/31/14: The current round of Navy EISs and NOAA permits consider exposures down to 120dB in their analysis of behavioral “takes” for all species. Researchers concluded that “The observed responses included vigorous swimming and extended time without echolocation-based foraging, imposing a net energetic cost that (if repeated) could reduce individual fitness.” While they did not see rapid ascents from dives that would support an early theory that some beaked whales may suffer tissue damage similar to what human divers experience as “the bends,” they suggest that the disruption of normal dive and surface-resting patterns could affect the animals’ dive metabolism in ways we don’t yet understand. Also of interest in this study was an unexpected period during which a tagged animal was exposed to sound from a distant (over 100km) naval exercise; in that case, the animal showed no response, though received levels were similar (78-106dB); researchers suggest that the animals could tell that these signals were much more distant than the test signals, which were under 10km away. The Blue whale results were a bit more ambiguous, as there was significant individual variation among the 12 whales that were tagged and exposed to sonar-like sounds. Some whales were foraging at the surface, some were deep-diving feeding, and some were diving but not feeding. Whales at the surface showed little response, while diving animals reacted more strongly, including some instances of clear avoidance (i.e., swimming away, or “horizontal displacement” in the research parlance). Researchers note that the whale that showed the largest reaction stopped feeding as soon as hearing the sonar signal and swam away from the sound; it did not begin feeding again for an hour, during which time it would have eaten over a ton of krill, which is about the minimum amount a whale needs per day (i.e., it’s a metabolically significant loss). On June 9, 2008, 26 common dolphins, 21 of them infants, stranded and died in river estuaries around Falmouth Bay, as several days of Naval exercises involving over 30 ships wound down (see AIEnews coverage at the time). A four-year study (read it online) has concluded that unspecified Naval activities are “the most probable (but not definitive) cause” of the strandings, which involved at least 60 animals in all, with most of the adults re-floated and guided back to sea. The lack of a clear cause for the final stranding event during a relative pause in Naval activity on the day before the early-morning discovery of the floundering dolphins adds a familiar ambiguity to the situation. 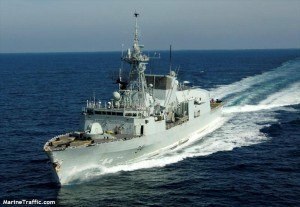 A Naval spokesman noted that they disagreed with the report’s conclusion and stressed their decades of similar exercises in the area without mass strandings, while conservation groups including the NRDC and the UK-based Whale and Dolphin Conservation called for exercises to be redesigned. While cetaceans can often move away from unwanted noise, it’s long been known that strandings can occur when animals become trapped in areas with no escape route, such as apparently happened here. Following this MSE (Mass Stranding Event) and recommendations from the organisations involved in the rescue of dolphins in the MSE, the UK Ministry of Defence initiated the Marine Underwater Sound Stakeholders Forum in the UK to regularly meet with all interested stakeholders (scientists, other Government Departments like Defra and a range of non-Governmental organisations) to discuss these issues in some detail. A direct line of communication was also established after the Falmouth MSE to facilitate rapid exchange of information between cetacean strandings/sightings organisations and Royal Navy Naval Command Headquarters to report groups of pelagic cetaceans seen unusually close to shore and potentially at increased risk of stranding. This was used to report a near-MSE of over 20 common dolphins in the Fal estuary in April 2009 that was seen 15 minutes after RN sonar trials were initiated in the region. The RN immediately modified the naval exercise (including use of active sonars) until the group of dolphins had returned to open sea several hours later. The need to alter training excercises due to the presence of dolphins has not subsequently occurred in this region. The California Coastal Commission has rejected the Navy’s 5-year plan for training and testing activities that recently received provisional approvals from the National Marine Fisheries Service. In a unanimous vote, CCC members said the Navy’s environmental studies failed to back up its claim that impacts on marine life would be negligible during the years 2014-2019. During the previous 5-year planning round, the CCC took a similar stand, and a Federal Court agreed to some additional precautionary requirements that somewhat limited Navy operations; that ruling led first to a Marine Mammal Protection Act exemption issued by President Bush, and finally to a Supreme Court ruling granting the Navy broad discretion to make operational decisions, and limiting court oversight. The CCC asked the Navy to voluntarily adopt a set of additional precautions in California waters, including larger safety zones in which they would shut down sonar and explosive operations when animals are nearby, avoiding several designated marine sanctuaries and areas known to host seasonal concentrations of blue, fin, and gray whales, and remaining at least 1km (a bit over a half mile) offshore. The NRDC concurs with these requirements, and encourages a couple more, including avoiding sonar and explosive activity at night, when nearby animals are much harder to detect, and using the Navy’s instrumented ranges to help detect animals. For more details on the hearing, see these articles from the Orange County Register and AP. 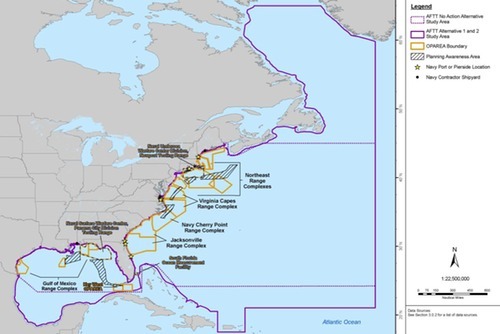 For a deeper look at the Navy and NMFS studies, see the AEInews lay summary of the Atlantic and Pacific 5-year plans. 2012 is shaping up as the year when the legal battle over the US Navy’s active sonar systems ramped back up to full-scale confrontation. A 2009 agreement between NRDC and the Navy put legal challenges on the back burner – actually, entirely off the stovetop – in favor of dialogue. But recent permits issued by NOAA’s National Marine Fisheries Service (NMFS) are now being attacked for the small sizes of the off-limit areas. NRDC has continued to call, in pubic and presumably in private, for the Navy to keep their sonar activity out of biologically important areas as they move forward with both low-frequency (LFAS) and mid-frequency (MFAS) active sonar deployments. This week, a new set of rules to govern LFAS was challenged in federal court on the grounds that the exclusion zones are far too limited. In January, a similar challenge was filed for existing MFAS permits issued by NMFS; see this earlier AEI coverage for details on the MFAS action. The new suit, like the January one, differs from the initial round of sonar challenges in that the target is the NMFS permits, rather than the Navy’s operations. As you may recall, the Supreme Court ultimately ruled that Naval priorities deserved wide latitude in the interpretation and implementation of environmental laws. By challenging NMFS’s analysis of the risks and the mitigations included to protect marine wildlife, these challenges may well take a different path through the legal maze. The new LFAS rules allow the Navy, for the first time, to operate the high-power sonars in most of the world’s oceans. The previous 5-year planning process focused on the western Pacific (in part due to the US stategic focus/concern on China and North Korea, and in part due to legal pressure during that round of planning). A previous AEI post goes into some detail on the new LFAS “letter of authorization,” which covers the first year of the 5-year period (short version: during the first year, operations will remain predominantly in the western Pacific, with a couple of operations north and south of Hawaii). Because a single LFA source is capable of flooding thousands of square miles of ocean with intense levels of sound, the Navy and NMFS should have restricted the activity in areas around the globe of biological importance to whales and dolphins. Instead, they adopted measures that are grossly disproportionate to the scope of the plan – setting aside a mere twenty-two “Offshore Biologically Important Areas” that are literally a drop in the bucket when compared to the more than 98 million square miles of ocean (yes, that’s 50% of the surface of the planet) open to LFA deployment. The apparent belief that there are fewer than two dozen small areas throughout the world’s oceans that warrant protection from this technology is not based in reality. NRDC also stresses that the LFAS is loud enough to remain at levels that can cause behavioral disruptions at up to 300 miles away. The Navy has said that take numbers, especially takes for injuries or death, will be low or zero once mitigation measures are implemented, though the permits allow for some of these “Level A” takes; for the first year, they are authorized to kill or injure up to 31 whales and 25 seals and sea lions. A US District Judge has ruled against NRDC and others who had challenged the Navy’s permit to build an instrumented training range off the coast of Georgia and Florida, claiming that construction should not proceed until the Navy completes the full EIS for the training activities that will take place there. Construction is slated to begin within a couple of years, with training commencing sometime around 2018; the range would have about 300 sensors installed on the ocean floor over an area of about 500 square miles, and would host training missions involving submarines, surface ships, and airplanes. The Undersea Warfare Training Range (USWTR) would begin 50 miles offshore, while a key winter birthing and nursing ground for North Atlantic right whales extends out to 20 miles offshore. Only about 400 North Atlantic right whales remain, with ship strikes being a major concern, along with the effects of any additional stress on mothers or young whales near the Navy’s operations. “We understand that’s the right whale’s critical habitat,” said Jene Nissen, the range’s program director. “We looked at the type of effects that training could have on right whales, and we are confident it will be very minimal.” Construction will be suspended from November to April, when the whales are migrating and congregating in the birthing grounds, but the Navy has not agreed to suspend training in those months, or to comply with offshore speed limits imposed on private and commercial ships, saying that this would interfere with their ability to carry out realistic and effective training. See more AEInews coverage of the USWTR here. In August, the National Marine Fisheries Service issued its Record of Decision that will allow the Navy to operate its Low Frequency Active Sonar systems for the next five years. NMFS will issue a new Letter of Authorization each year, in order to accommodate new information as needed, but the overall parameters of the permits will remain essentially the same throughout the five years. While the Final Rule allows the Navy to operate the SURTASS-LFA sonar in most of the world’s oceans (Pacific, Indian, Atlantic Oceans and Mediterranean Sea), the Navy’s operational plans for the first year remain centered in the western Pacific, given its particular focus on tracking Chinese submarines (see previous AEI coverage of tensions with China over LFAS surveillance). Only four missions are planned in other areas, and all these will take place in north and south of Hawaii. The Navy has four ships outfitted with the SUTASS-LFA sonar; three (USNS Victorious, Effective, and Able, seen at left, appear to be based in the Pacific, and one (USNS Impeccable) in the Atlantic; each ship could operate for up to 240 days and transmit SURTASS LFA sonar for up to 432 hours per year (the ships transmit sound roughly 7.5% of the time they are operating). The Rule and the Letters of Authorization allow the Navy to cause temporary behavioral effects (a “Level B Harassment,” defined as animals hearing the low-frequency sonar at levels ranging from 120-180dB, possibly changing their behavior) on 94 species, with no more than 12% of any regional stock of each species being exposed to the sonar in any given year. The Navy anticipates, based on species abundance in each of the eleven designated operational areas for the first year, that for most species, the percentage will be far lower: usually well under 1% and topping out at 3% for a handful of species in the 9 western Pacific operational areas; around Hawaii, several species will see 1-3% of the population having behavioral impacts, with a handful of species topping out at 6-7%. Few animals are expected to be close enough to be injured, and the Navy and NMFS presume that physical harm (Level A Takes) will be avoided completely thanks to various mitigation measures, including marine mammal observers, passive acoustic monitoring, and power-downs when whales are close. But given the uncertainties, NMFS is authorizing injurious or lethal takes of up to 31 whales and 25 seals and sea lions. The previous five-year LFAS permits, issued in 2007, faced a court challenge based largely on the ways that the Navy and NMFS designated offshore biologically important areas (OBIA), and on the idea that nearshore exclusion zones should extend at times beyond the 12 nautical mile zone covered by those permits. Most designated and potential Marine Protected Areas (340 of 403) are already within 12 nautical miles of coasts, so are protected from high-intensity ensonification; a more thorough examination of the rest led to the inclusion of one additional OBIA in this round of permitting, with two more being monitored for possible inclusion as more research is done in them (many were omitted because the species of concern in those areas are high- and mid-frequency vocalizers, and LFAS sounds will have more of an effect on larger whales that hear lower frequencies). A total of 22 OBIAs are designated worldwide, some considered important year-round, and some seasonally. Sonar sounds must be below 180db within an area extending 1km beyond the boundaries of the OBIAs (thus aiming to keep sounds under 175dB within the OBIAs); likewise, the same 180dB maximum will apply at the boundary of the 12 nautical mile coastal zone. The Federal Register notice of the Final Rule contains many pages of comments from the NRDC, Marine Mammal Commission, and others, along with responses from NMFS. The US Navy has released its initial Draft Environmental Impact Statements for the next 5-year round of permits it will seek from the National Marine Fisheries Service for its at-sea training activities, and the numbers of animals expected to be affected have skyrocketed. This is in part thanks to the new EISs combining areas that were dealt with separately in the first round of permitting, which occurred after the NRDC challenged the lack of permits in court. The new Hawaii-Southern California EIS not only combines these two previous separate areas, but also accounts for impact to animals in waters between Hawaii and California that were previously not considered. In addition, the new EISs draw on more recent scientific evidence of lower impact thresholds for some species, including beaked whales, and on more advanced models that predict animal concentrations and movements. While this expanded focus and better data is a valuable step forward, the numbers of animals expected to be injured or to have their behavior affected has increased so much that NRDC termed it “harm of staggering proportions.” Clearly, attempts to foster more constructive dialogue between the Navy, NMFS, and NRDC during the EIS process has not led to a shared vision or lowered the heat all that much. The Navy’s estimate of the number of animals whose behavior could be affected has jumped from 770,000 to 14 million, including 2 million cases of temporary hearing impairment, in addition to 2000 animals experiencing permanent hearing loss. And, the Navy estimates that explosives training and testing could kill 1000 animals. But, Navy officials told CNN, these alarming numbers — a result of mathematical modeling — are worst-case scenarios. “We believe … with our mitigation efforts and the Navy commitment that those injuries and mortalities will be none,” said John Van Name, U.S. Pacific Fleet senior environmental planner in Pearl Harbor, Hawaii. The report also indicated monitoring in 2009-2010 off Hawaii and Southern California showed 162,000 marine mammals with no evidence of distress or unusual behavior during Navy activities. By comparison, the previous round of EISs estimated injury or death to about 100 animals in Hawaii and California during the five years from 2009-13; to date, two or three dolphins are known to have been killed by explosives testing. While the Navy’s understanding of how much harm it’s activities cause marine mammals has increased, it hasn’t taken any corresponding steps to minimize this staggering level of harm. It’s mitigation protocol remains largely unchanged, with the Navy refusing to set aside areas of high marine mammal density where sonar should not be used. This means sensitive breeding and foraging habitats and biologically unique areas within the training area can still be used for sonar and underwater explosives training. We know that safeguarding specific areas of sensitive habitat is the best way to lessen harm to whales and dolphins from sonar and other activities — don’t use the technology in the same areas where whale and dolphin numbers are high or during breeding seasons. Faced with such incredible numbers and levels of harm, the Navy must do more to identify and set aside portions of its training areas (areas often the size of large states, like California) where it will not conduct training and testing. For more on the EIS process, see the Navy’s information sites for the Hawaii-Southern California EIS and the Atlantic Fleet EIS. Comments on both are being accepted through July 10. A paper recently published in Conservation Biology suggests that current ocean noise regulations are likely not providing sufficient protections against impacts on marine life. The authors note that current regulations are based on preventing direct physical injury from very close exposure to sound, while considering behavioral impacts to decrease consistently with greater distance, or the “zones of influence” approach to noise impact assessment. However, some key impacts, such as interruptions in feeding or temporary abandonment of important habitat, are not accounted for. In a previous study on behavioral responses of marine animals to noise, one of the authors of the current paper found that the “zones-of-influence approach did not reliably predict animal responses.” Furthermore, we know from terrestrial studies that a variety of additional factors–an animal’s past experience and conditioning, current behavioral state, acoustic environment, and type of exposure, to name a few–all affect the extent to which it will be impacted by noise pollution. Ellison, W.T., Southall, B.L., Clark, C.W., and Frankel, A.S. 2012. A new context-based approach to assess marine mammal behavioral responses to anthropogenic sounds. Conservation Biology, online advance publication. Scott Veirs of Beam Research said that their monitoring network had tracked both transient orcas and endangered southern resident orcas in the area within 24 hours both before and after the incident. “This was a fairly high-risk event as far as we can tell…it’s concerning to me that the U.S. Navy has voluntarily refrained from unnecessary testing and training in the inland waters of Washington state, but the Canadian navy apparently still does,” he said. “The nightmare scenario is that you turn on sonar not knowing they are there and essentially deafen them either temporarily or permanently.” Ed. note: Beyond this worst-case scenario, the use of this high-intensity sonar in waters close to designated critical habitat goes against the purposes of designating such protected zones; the US has banned all boat activity in some parts of the habitat, with the goal of assuring that the whales are not discouraged from using this region, one of their primary feeding grounds. Interestingly, a commenter on the Beam Reach website notes that the Canadian Navy’s safety zone for their mid-frequency active sonar is 4000 yards, or over two miles. Whether they can effectively detect whales at that distance, especially at night, is highly questionable. The Seattle Times clip above mistakenly presumes that the sounds travel only that far. In fact, this is just where they tend to drop below the sound levels considered likely to seriously disrupt behavior; mid-frequency active sonar can be heard for tens of miles, and in the complex underwater landscape of where this event took place, is likely to create dramatic peaks and drops in sound levels as the noise bounces from islands and the seabed, making it difficult for animals to know how to reduce their exposures. 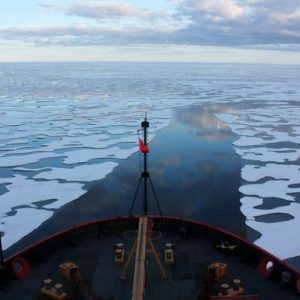 Three years after the NRDC and U.S. Navy reached an agreement that was meant to create avenues for dialogue and collaboration, a new lawsuit filed this week suggests that the hopes both sides held have not been realized. The main sticking point remains the same now as it was then: environmental advocates insist that some biologically rich areas should be entirely off limits to any sonar training activity, while the Navy holds that short-term exercises pose no great risk to wildlife. 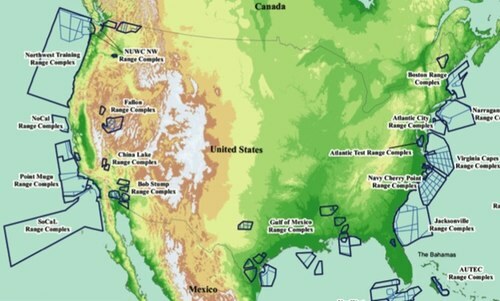 The final Environmental Impact Statements submitted by the Navy, and the permits issued by the NOAA Fisheries Service (which collaborates closely with the Navy in developing guidelines), allow the Navy full access to extensive training ranges that stretch along most of the coastlines of United States. The suit filed this week challenges NOAA permits issued in 2010 for one of the Navy’s dozen or training ranges, off the coast of Washington, Oregon, and northern California. It differs from an earlier high-profile legal challenge, which reached the Supreme Court, in that the previous suit challenged the Navy’s sonar operational guidelines, whereas this one challenges NOAA’s permits. By and large, ocean noise regulations concern themselves only with noise that may be loud enough to cause injury, which occurs only at very close range (under a half mile). More moderate noise, which may cause behavioral changes up to 50 miles away, is assessed in the EIS, but these behavioral changes are generally considered to be of negligible impact to the animals. Recent NOAA permits routinely allow for tens or hundreds of thousands of animals to respond in some way to the sounds of naval maneuvers, with sonars mounted on ships, on floating buoys, and dangled from helicopters being the primary noise source triggering behavioral responses (any behavioral response is considered a “take” in permitting language).